While China's phenomenal economic boom has attracted over 200,000 of expats to work, its worsening pollution has kept some at bay in recent days. It is not surprising to see locals with a mask on. The government is also making a concerted effort to boost public hygiene levels. 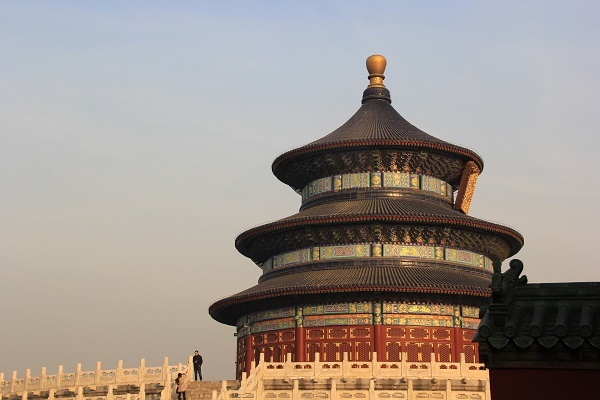 China is regarded as one of the pillars of civilisation with a rich history that dates back to 221 B.C. Its oriental beauty and reputation as the second most powerful economy in the world continue to lure hundreds of expats from different nationalities and all walks of life. The reign of economic power is shifting to the Far East, and China's economic might is evident. China is the most crowded country in the world with a total population of 1.370 billion inhabitants. 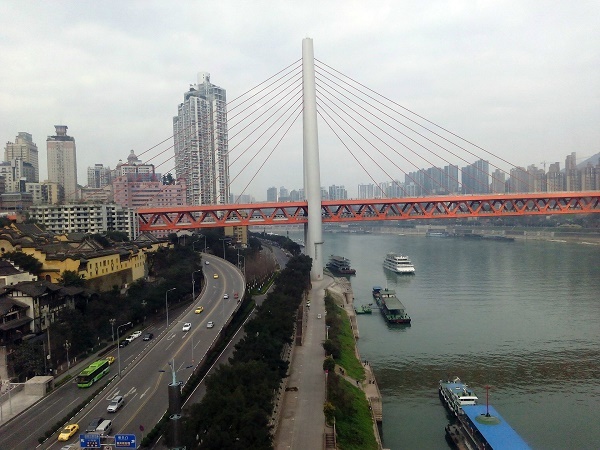 It is divided into five autonomous regions, 22 provinces and four municipalities namely Chongqing, Tianjin, Shanghai and Beijing. Expats who are about to live in one of the major cities should brace themselves for the dense population and the hustle and bustle. The locals are used to spitting in public spaces and burping out loud, so it is not unusual. Unsurprisingly, the public toilets do not have the best sanitation too. Toilet paper and hand soap are not guaranteed, so always be sure to bring tissues and a sanitizer with you, just in case. To control information flow, the Chinese government has put up a “Great Firewall” to block most social of the sites we know. No Facebook? What blasphemy, we know, the world knows. Its citizens themselves have been speaking up for ages but it seems the regulation will only get tighter. To overcome the censorship, a trick that the locals use is to access the platforms through a Virtual Private Network (VPN). To their defence, China has made sure they make a copy of everything – some netizens have even argued that some are better than the original. Most of the Chinese population are on these platforms. If you are an expat, those are great avenues to network with the local community. For the Chinese, their last name is their surname or otherwise, called family name. So, if someone is named “Li Xiao Ming”, you do not call them Mr Ming. That’s like calling Jacob as Mr Cob! Instead, it should be Mr Li. It is common courtesy to say no to treats, gifts and compliments. That is their way of being humble. Never take the first rejection too seriously, and always make sure to insist at least one or two times. They will accept it soon enough (unless they really mean it). The Chinese believe that the colour red and the number ‘8’ brings prosperity. Avoid wearing black to a happy occasion such as weddings, as that is seen as an unlucky colour. Due to the pronunciation likeness to funerals, gifting clocks or watches are strongly frowned upon. You will learn more of these as time passes. While some may sound a tad superstitious, it is important to respect their beliefs. The Chinese have little concept of personal space. During the rush hours, you may often find people trying to squeeze in even when the train or bus is full. People tend to be in a hurry to get ahead so there is seldom any queuing system, too. As they are usually expressive and have thick accents, you will sometimes find the conversations too noisy. Well, get used it. Mandarin is the official national language of China and is spoken by a majority of its inhabitants. A lot of them speak dialects such as Cantonese too. Though most people in urban cities such as Beijing can speak English, expats should still be armed with some basic Mandarin to help them with their daily interaction with the locals. Putting in extra time and effort in to learn their language sends a powerful message of respect and goodwill to the local people. Although Mandarin is one of the most difficult languages to learn, practice makes perfect. Before you get confused, take note of two important rules – different intonations (there are four kinds) of the same pronunciation are different words; vowels in Hanyu Pinyin (Chinese words spelt in English alphabets) are pronounced differently. Wo De Ming Zi Shi – My name is..
Wo Shi Cong – I am from..
Ni Hao Ma – How are you? Ni Hui Shuo Ying Yu Ma – Do you speak English? Zhe Ge Duo Shao Qian – How much is this? Before we go further, there is one thing you must know about cutleries – the Chinese seldom use forks. Instead, they use chopsticks to pick up their food. You can learn how to use them here, though you are bound to need some practice. There is also some dining etiquette to take note. For example, do not use chopsticks to point at people or stick them into your food when you are not using. It is considered impolite. When you are drinking with the locals, especially the elders, make the effort to help them refill their cups when their drink is running low. Take note that the Chinese’s rice wine or “shao jiu” has a high percentage of alcohol (40%) and is very strong. However, many have come to love the slow burn, especially over the winter season! If those are not for you, no worries, you can stick to their wide variety of beers. Chinese food in western countries are usually not an authentic representation and the selection is probably not even a fraction of what they have in China. So, be prepared to satiate your taste buds with new flavours. The Chinese are fond of handmade food. That means fresh ingredients that are not frozen or processed. Dumplings – the most famous is “Xiao Long Bao”, which is soup-filled meat dumplings shaped like baos. Be careful to not burst it when you pick it up. The trick is to have an explosion of the soup when you have your first bite. Dim Sum – Rather than a dish, this is a style of eating. Small portions of several dishes selected by you will be served in steamer baskets or small plates. An excellent way to experience several iconic Chinese delicacies at once! Bean Curd – It comes in two forms – savoury (commonly named tofu/doufu) side dish and sweet dessert. 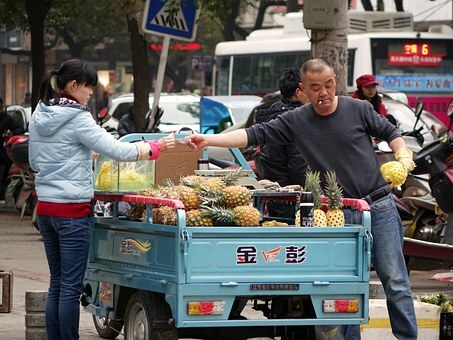 There is also a particular street food named Stinky Toufu, which is fermented. Be warned, it lives up to its name and it is truly an acquired taste. 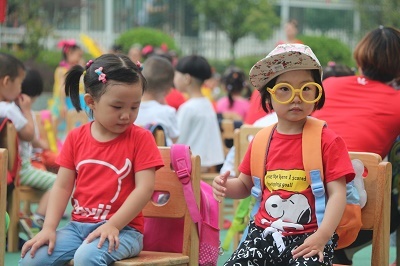 Expats who want their kids to enjoy their stay in China have the option to bring them to some of the most famous and visited theme parks and recreational places in the country. A never-to-be-missed experience can be found at the Aquaria 21 on Da Du He Road near Ji Sha Jiang Road where a huge aquarium allows kids to behold the magnificence of marine life. Shanghai's largest green escapade, the Century Park in Pudong, opens from dawn to sundown for kids who just can't get enough of kite-flying, mountain biking or strolling around while marvelling at the skyscrapers that surround it. Boat rides such as the Huang Pu River Cruise will be great for kids to spend some quiet moments while communing with nature. But when they just can't mellow down, Jin Jiang Amusement Park is the right place as it offers a large expanse of playgrounds and other fun and other entertaining activities for children. Expats should start looking for an apartment/house a few weeks before arriving in China. Hiring the service of a real estate company is a good option for those who are not fluent in speaking Mandarin. The payment for a broker’s service is usually split in half between the landlord and the tenant, but there are also some agencies that ask the property owners to shoulder 70% of the fee of their real estate agents. There is a lot to know about visas, employment paperwork, job-hunting and business culture – make sure you do your research. International health insurance helps you get affordable access to English-speaking medical staff and quality private healthcare. While the cost of living is cheap, always bargain when shopping at street markets! The education system is extremely stressful and competitive. You may want to consider international schools for your children. Is China good for property investment? Expats, especially those from liberal countries, should be mindful that China is an authoritative country stringent about law and order. As a communist nation, it exercises tight control over most things - from media, to immigration and crime. You can be punished severely for any action or open opinion that puts the country in a negative light. Two copies of the baggage declaration are to be submitted by the shipper upon entering China. Items to be declared are goods shipped beyond amounts deemed reasonable for personal use, cameras and tape recorders, over RMB 20,000 in cash, gold or silver and ornamental items that weigh more than 50 grammes. Anything that is considered of commercial value besides one's personal baggage also has to be declared along with animals and plants for quarantine. Among forbidden items are deadly weapons of all kinds, including radio transmitters and receivers as well as similar gadgets. All objects found to cast a negative light on China as a nation, including films, CD's and the likes of narcotics, infected animals and disease-carrying foodstuff are also restricted. Chinese shipment regulations are common and simple and should not pose considerable inconveniences to expats moving their belongings from home.If you need to ship most of your wardrobe and furniture, make sure to do a thorough research of shipping and removals companies in China to get a competitive quotation. It is wise to bring extra clothing as the Chinese tend to have smaller sizes and it may take a while for non-Asians to find a store where they can buy clothes that fit. Expats who need to be on maintenance medications should bring along their medicines. Personal effects are duty-free, provided that they will not be sold under any circumstances.